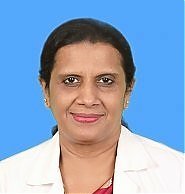 Has a rich experience of 24 years in the field of Nutrition & Dietetics and is a Life member of Indian Dietetic Association. Before joining Drinn she was heading the Nutrition Department of a 400 bed multi-specialty hospital specializing in Cardiology, Diabetology, Nephrology, Bariatrics, OBG etc. Have attended several conferences and symposiums conducted by the Indian Dietetic Association, and has conducted several training programs for interns in the areas of Cardiology, Diabetology, Weight Management and Cholesterol Management.